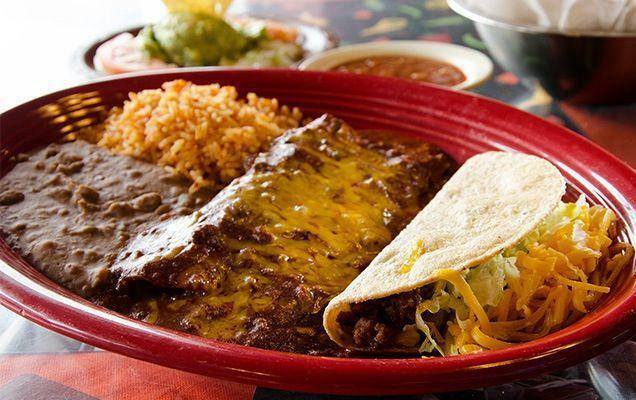 There is nothing quite like our Tex Mex we enjoy ravenously and with aplomb in the DFW area. One of the most respected names in this style of cookery is Herrera’s. We know everyone has their favorites, and it might be difficult to choose the best in enchilada in town, but we have been slowly working on our top list for that category which will arrive at your Crave doorstep soon enough. But the Herrera’s beef enchilada is definitely something to sing about. Look no further than the 2C when ordering your next plate at Herrera’s. This will give you a nice sampling of beef enchiladas, rice and beans, and a crisp taco. Of course every order arrives with a steaming bowl of bean soup and a stack of the thickest tortillas around. Thick, yet soft and supple and served steaming hot. These make for easy sopping of the beefy gravy left behind after the enchiladas have been devoured. There are a few locations in Dallas, and you may locate one nearest you by checking out their website.